A growing number of startups are launching with the intention of helping to bring about positive social and environmental changes—they’re social entrepreneurs, or socially responsible companies. What does it mean to be a socially responsible company? Imagine that on one side, you have nonprofit organizations that are driven by social values—their clear purpose and the focus of all their efforts is to directly impact society, rather than to make a profit on goods or services. On the other side, you have companies that exist primarily to generate profit, rather to address a societal issue. Social entrepreneurship sits somewhere in between those two. Social entrepreneurs want to improve social and/or environmental conditions, but unlike nonprofits, they are not registered 501(c)3 organizations, and their structure is designed to generate profits, but to do it ethically. They aim to create a change by making particular supplier choices and structuring business operations to help tackle the root of the problems of unsafe or environmentally dangerous practices. Socially responsible companies also often reinvest profits into the business or use them to actualize their mission statements. These qualities represent an ideological version of a social entrepreneur, not necessarily an exact blueprint. But the closer a person adheres to these values, the closer they are to that middle point between nonprofit and profit-oriented. The Body Shop, founded by Dame Anita Roddick in 1976 as a maker of naturally-inspired beauty products, is a prime example of taking and acting on social responsibility. With their “Enrich Not Exploit” commitment, they aim to have no negative impact on the planet. They strive to protect communities, animals, habitats and the environment through ethical best practices in their business operations by actively supporting causes such as building self-esteem, environmental protection, animal rights, fair trade, and human rights. For example, in 1989 and 2017, The Body Shop and BUAV (now called Cruelty Free International) rallied and campaigned for the British government and the E.U. to ban animal testing for cosmetics. They have often been regarded as pioneers of modern corporate responsibility and have published full reports on their efforts and initiatives to provide clarity and transparency in their operations. What’s driving increased social entrepreneurship? In the last decade, there has been an increase in social entrepreneurship. What’s driving the growth? Part of the increase in interest in social responsibility relates to increasing pressure on businesses from their customers, employees, and society as a whole, including government laws and legislation (such as the reduction of carbon emissions, for example). With better connectivity, increased exposure over digital platforms, and less brand loyalty than ever before, companies increasingly cannot afford some of the bad press that comes with being associated with exploitation. A Cone Communications study revealed that 83 percent of Americans are more willing to buy a product with a positive social or environmental impact, while 72 percent are likely to tell friends or family about the company’s efforts. It’s worth noting that millennials are even more supportive of these social and environmental efforts. 74 percent of millennials are more willing to volunteer for a cause supported by a company they trust, compared to 56 percent among the general population. Millennials now make up the largest sector of the U.S. workforce, and hold a spending power of $170b per year in the U.S. alone. In reality, this shouldn’t be all that surprising. After all, this heavily connected generation has grown up with social, political and environmental issues at the forefront. That exposure cultivated a generation that can’t ignore the social impact of their decisions. Some leaders look at social responsibility as a creative marketing opportunity to strengthen their brand. For some, there are tactical advantages that can boost a company’s reputation and bottom line. But just because they’re doing things differently doesn’t mean customers automatically know about it. Companies have to do the work of promoting their commitment. If your startup is sourcing ethically or making other socially conscious decisions, make sure you’re sharing that information on your website, your social media campaigns, and in email communications with your current customers. But, don’t make it all about you all the time—social startups have an opportunity to become influencers around their mission. If your startup is focusing on water conservation when you’re producing your products, tell your customers that, but also share ideas on how individuals can waste less water in their daily lives. The secret here is keeping your messaging centered around your mission. While employees are increasingly searching for purpose in the work that they do, employers are finding retention more difficult and important, as employees with the right skills are tough to hold on to. As such, your mission statement could become the deciding factor for highly skilled workers who want to work for a socially responsible company. Young companies especially will want to be careful when bringing on new team members. Cultural fit is even more important for companies guided by a mission. Asking plenty of “why” questions during interviews can you get a handle on their values and determine if they’re in line with your mission statements. Additionally, making the interview process a little more relaxed and allowing for a two-way conversation can help, and paying attention to the types of questions your candidates ask about the position. Your employees can become your greatest asset. If they’re on board and share your commitments and values, they’ll naturally become an ambassador for your business. How can entrepreneurs embrace a socially responsible mission? For your business to be successful, you’ll have to do more than just lip service. You will need to make a plan that outlines resources, milestones, and how you’ll measure success. For example, TOMS footwear company donates a pair of shoes to those in need for every pair purchased. Over the years, they have expanded their philanthropic efforts to include sight, water, safe birth, and to eliminate bullying. As a small business or early-stage startup, start small. Decide on the most important things you want to address—maybe you want to source only organic cotton for your clothing line, for example. Set milestone that will help you achieve those goals over time. Using social entrepreneurship purely as a marketing exercise runs the risk of missing massive opportunities for both the business and society. Making the most of these opportunities requires focus, hard work, long-term commitments, and most importantly, a shift in mindset. 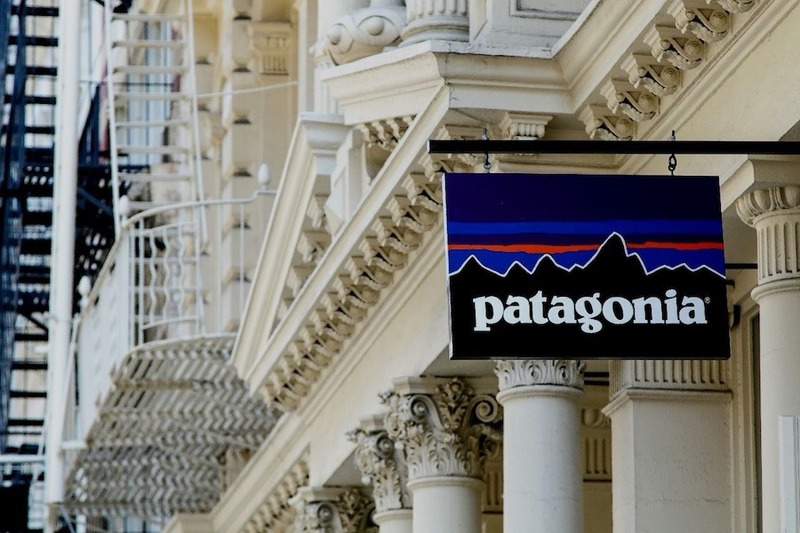 Patagonia is a good example of another company that made a commitment to run their business according to certain values and then figured out how to share their efforts through storytelling. Their product is the foundation and entry point for consumers to engage in their mission. Don’t forget: Simply going through the motions to “appear” altruistic isn’t enough; coming across disingenuous or self-serving will appear deceptive and will push your customers away. When you decide to focus on particular social issues, you always run the risk that the causes you support will alienate or disgruntle particular niches and target markets. Looking back at Patagonia, the clothing brand replaced the main banner on their website with “The President Stole Your Land” when Trump reduced the size of the Bears Ears National Monument. While their target audience and particular sectors of the locals would support this statement and the protection of the monument, there would naturally be those who oppose it that would argue it provides valuable resources that could benefit the local economy, creating a divide in their potential markets. Patagonia knew they were taking a risk, but they’ve studied their target market enough to know that it was probably a small risk.